Cat C under 12s at Hog Hill for the first of the Summer series. With 49 riders on the start sheet it was going to be a test for each and every rider who pinned a number on, with the long climb every lap this is not the norm for this category. 1st lap a large bunch of around 20 riders formed they climbed well with fresh legs. 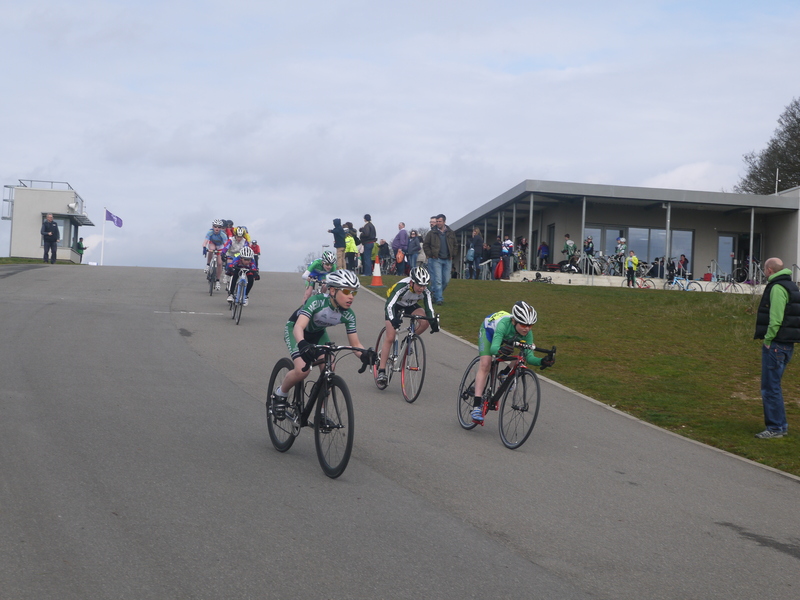 Whilst they made it into the centre area together, on lap one an early attack saw the field break up and a group of seven riders formed 6 boys and one girl this group stayed together for the remainder of the race with the strong Girl dropping back a little on lap 4. 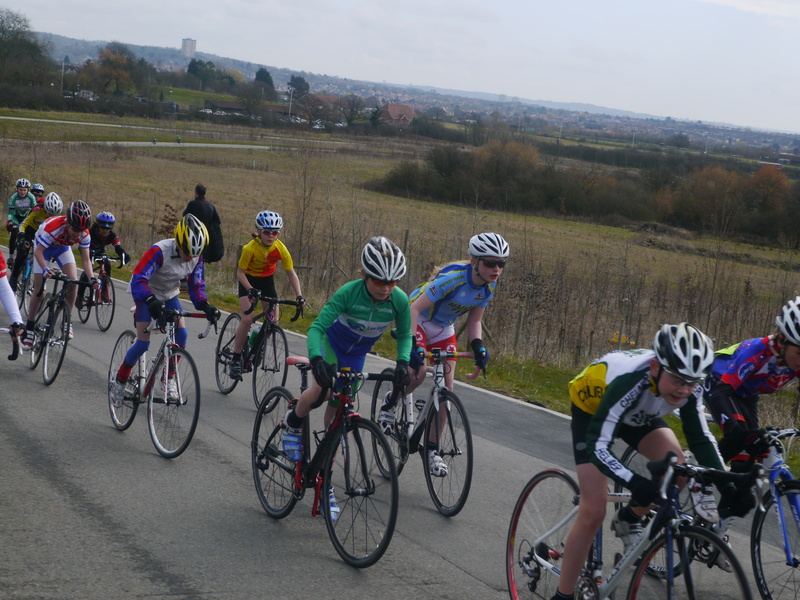 On the bell there was a massive attack on the front group and four of the six boys went clear down the hill. Aaron Freeman and Harrison had some traffic on the decent and both played it safe which was the right thing to do. This for me was one of the best races of the early season with the break forming early to take the race to a whole new level, with the riders providing attacks and great climbing it was a joy to watch.